Welcome to a brand new season of the Emmy winning show, Love That Book! In this episode, Kindness Counts, we get to look at three very different books that take a look at kindness, as well as bullying. 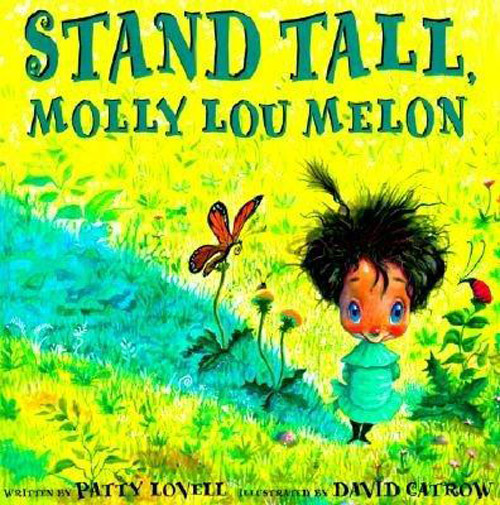 First, we are introduced to Molly Lou Melon in Stand Tall, Molly Lou Melon by Patty Lovell and illustrated by David Catrow (Putnam Juvenile, 2001). While Molly seems to have the cards stacked against her, being small, buck-toothed, and with a voice like a bullfrog, her Grandmother has the utmost confidence in her. Everything goes pretty well for Molly, until she moves to a new school and is faced with a bully for the first time. 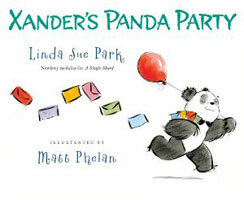 Next up, we get a glimpse of Xander in Xander’s Panda Party by Linda Sue Park and illustrated by Matt Phelan (Clarion Books, 2013). Xander wants to throw a panda party, but there is just one problem… he is the only panda at the zoo. He doesn’t let this stop him though. He decides to invite all of the bears in the zoo. Realizing that others will be left out, Xander decideds to invite all of the mammals as well, then all the birds and reptiles. Ultimately, the whole zoo gets to come to the panda party! 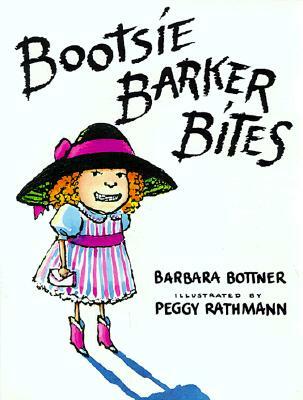 Lastly, we come to one of my favorites, Bootsie Barker Bites by Barbara Bottner and illustrated by Peggy Rathmann (Puffin, 1997). Our narrator hates it when Bootsie comes over to “play.” She tears up her books, knocks over her aquarium an pretends to be a “turtle eating dinosaur.” When all intonations of “play nice girls” are ignored by Bootsie, a plan must be made before our heroine is rushed to the hospital with dinosaur bites. Be sure to pick up this book to find out just how to get the best of your own Bootsie. Be sure watch the whole episode HERE, and let us know what your favorite books are about kindness and bullying!